WenatcheeTheHatchet: revisiting the time where Mark Driscoll crashed the Strange Fire conference, who are these guys? 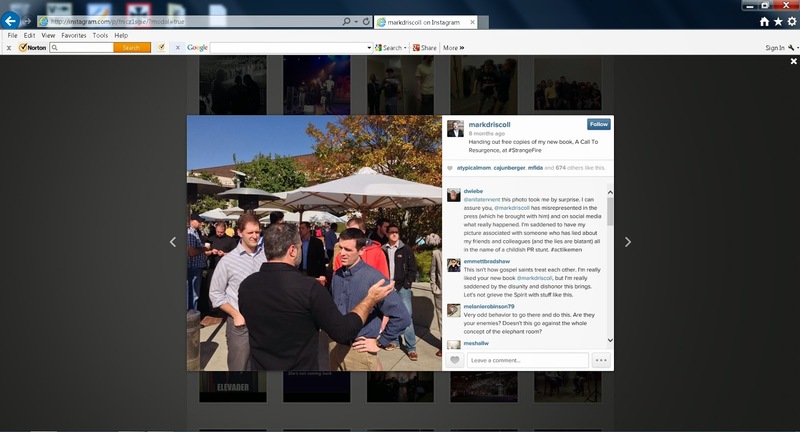 revisiting the time where Mark Driscoll crashed the Strange Fire conference, who are these guys? Last year Mark Driscoll crashed the Strange Fire conference. It got a little discussion here and there on the internet but most notably over at this spot. But there's something else that hasn't gotten quite as much attention as might be warranted. Who are these guys? Were these ... Sutton Turner and Dave Bruskas? You know, the executive elders who are part of the Board of Advisors and Accountability? Were these two guys outlined in red and blue them? Because ... well ... if Turner and Bruskas were right there with Mark Driscoll when he crashed the Strange Fire conference and tweeted about his books allegedly being confiscated by security they were ... right ... there? If this was the case then in addition to Turner having signed the Result Source Inc contract that rigged a place on the NYT bestseller list for Real Marriage (a book that turned out to have plagiarized material from Dan Allender's The Wounded Heart) then people like Turner and Bruskas have not only not done a particularly compelling job publicly reining in Driscoll's lesser stunts they may have actually been caught on video as participants with Driscoll in one of his more attention-grabbing stunts from the last 12 months. Well ... they kind of look like these guys. If there's anything about Mars Hill in the last decade we can be sure about it's that they WILL have a video and social media presence of some kind, no matter how many years of Mark Driscoll sermons they may obliterate. It's a little tough to just run with the assumption that Sutton Turner would be holding Mark Driscoll accountable about anything if Turner signed the Result Source contract. And it would be a little tough for Bruskas to be thought of as meaningfully holding Mark Driscoll accountable for shooting his mouth off if he was physically present with Driscoll when Driscoll crashed the Strange Fire conference. And that question may well go double for Turner, who by the time of the Strange Fire conference had signed a contract to rig a best seller list on behalf of a Mark and Grace Driscoll book. To add to THAT action a willingness to be present with Driscoll as he crashed the Strange Fire conference and tweeted about books being confiscated by security does not suggest that either Turner or Bruskas would be as apt to rein in Driscoll. Driscoll's offer to MacArthur in the wake of the stunt of crashing Strange Fire did not seem like much more than a follow-up stunt to Wenatchee the Hatchet. Driscoll had already blown off MacArthur's overtures at private discussions about Mark Driscoll's views of Song of Songs. 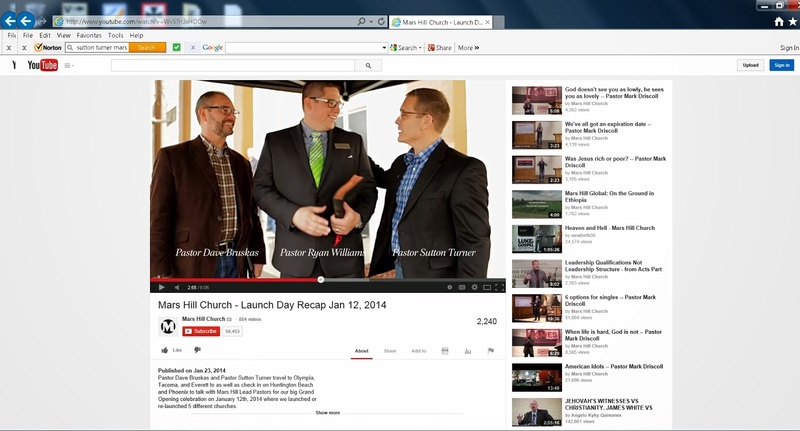 But after Driscoll crashed Strange Fire an invitation to talk was publicly extended. To date it would seem MacArthur's team decided one stiff refusal deserved another and, in any event, just a few weeks later Mark Driscoll would get accused by Janet Mefferd on the air of being a plagiarist, Mefferd would provide evidence, and a little scuffle about just how many books Mark Driscoll published would turn out to have cribbed from the works of others would become the subject of journalistic coverage and a little blogging. But whether or not the role that Turner and Bruskas played in being with Driscoll when he crashed Strange Fire has been discussed earlier is an open question at this point for Wenatchee The Hatchet. Maybe Chris Rosebrough over at Fighting for the Faith might have mentioned something about it? Can't recall. 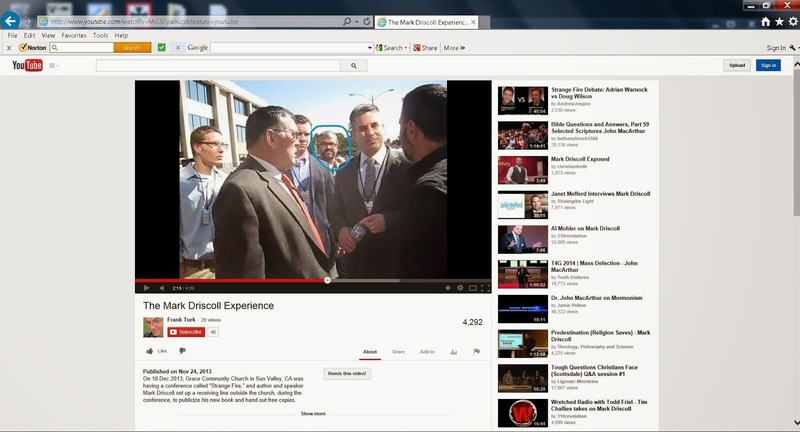 But in light of the BOAA defense of the executive elders of Mars Hill issued March 2014, it seems worth revisiting that at least three of the seven members of the BOAA were present when Driscoll crashed Strange Fire ... and if James MacDonald was there then, well, a bit more than half the BOAA was with Driscoll crashing the Strange Fire conference then, wasn't it? 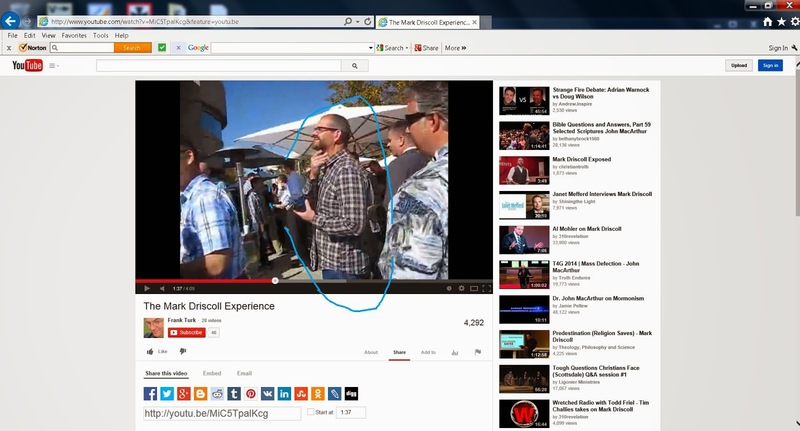 Thanks to some comments we've got some context to suggest that James MacDonald was also definitely at Strange Fire with Mark Driscoll. 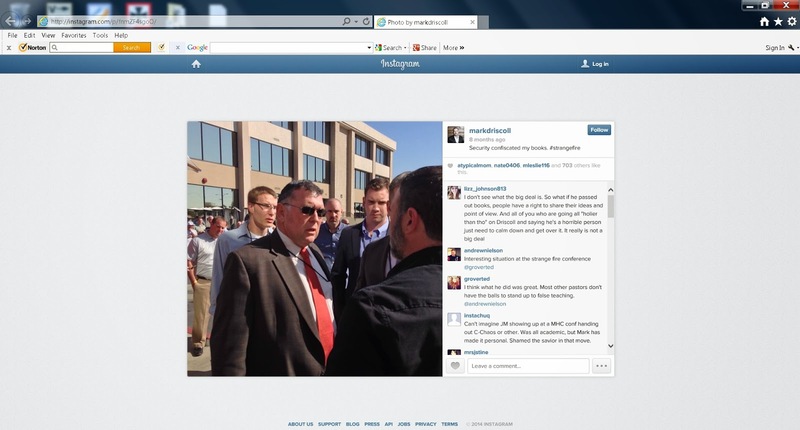 For those not already familiar with how Driscoll presented crashing the Strange Fire conference, screen caps from Instagram. Okay, I found his tweets and such. There were three pics posted, and that was not one of them. 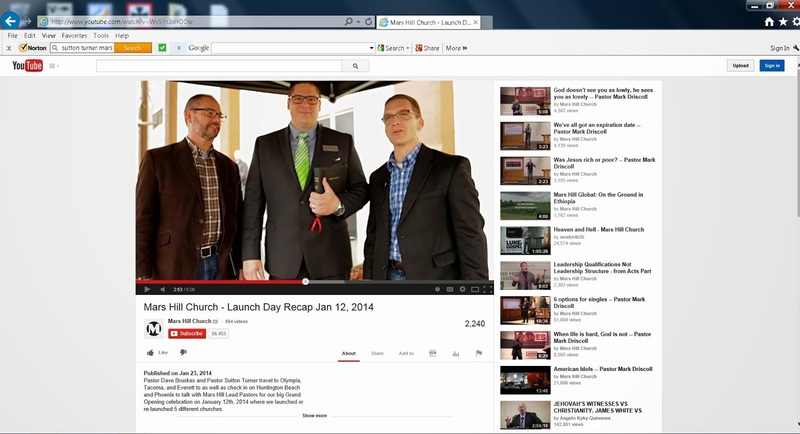 So from the video previously discussed, Mark, Sutton, and Bruskas can be placed there. 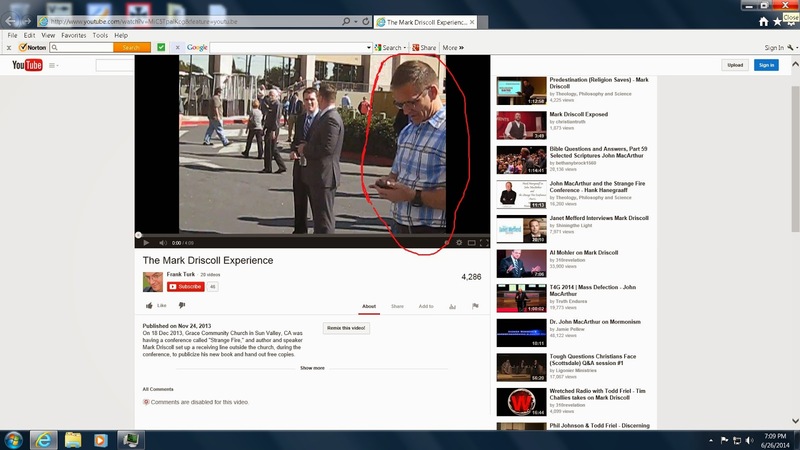 The pic I linked to is from someone name Austin Duncan, "College pastor at Grace Community Church." Posted Oct 18, 2013, same day that Mark was posting. And his other posts clearly show he was at Strange Fire. 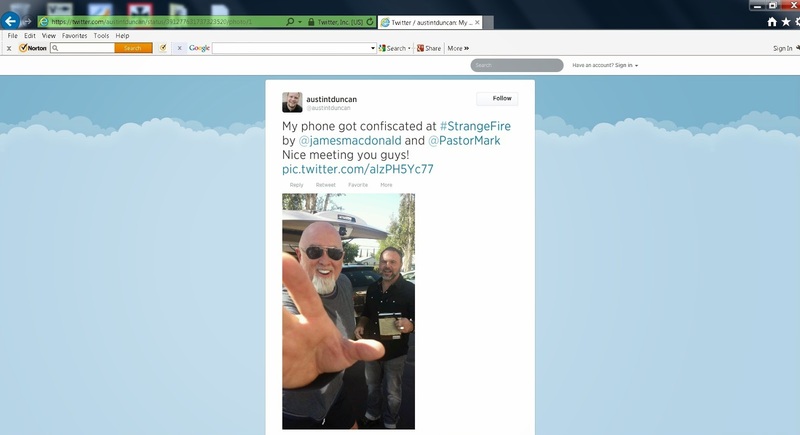 Seems like it's unavoidable to conclude that James MacDonald was present at least in the parking lot at Strange Fire with Mark, if not for the actual "book confiscation" itself.